Last week I unplugged from all social media and finished up a bunch of projects for my girl's room. I am so excited at how far this room is coming along. I am in the last phase of creating the wall gallery and today I am sharing a few of the projects I have finished. I took a few of my daugther's art work and I wanted to add some inspirational words in her room. 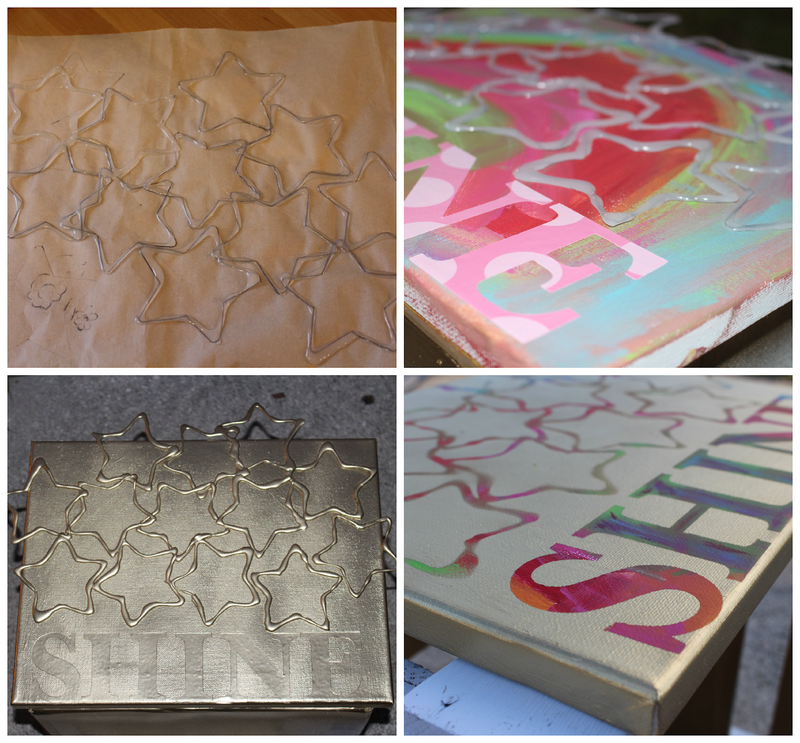 I wanted clusters of stars, so I came up with the idea to make my own stencil out of hot glue sticks. I took parchement paper and I drew stars, then I took my hot glue gun and traced the stars. I made sure the stars where connected, because I wanted one big star stencil. 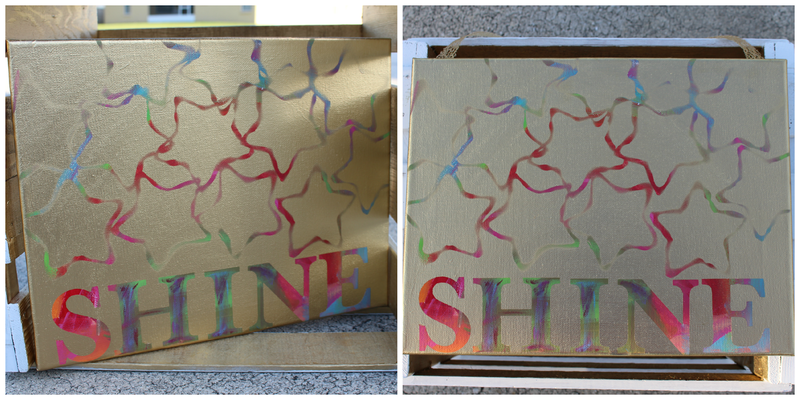 I then layed my stars on the canvas, along with these sticker letter decals. Finally, I took gold metallic spray paint and sprayed the canvas evenly. 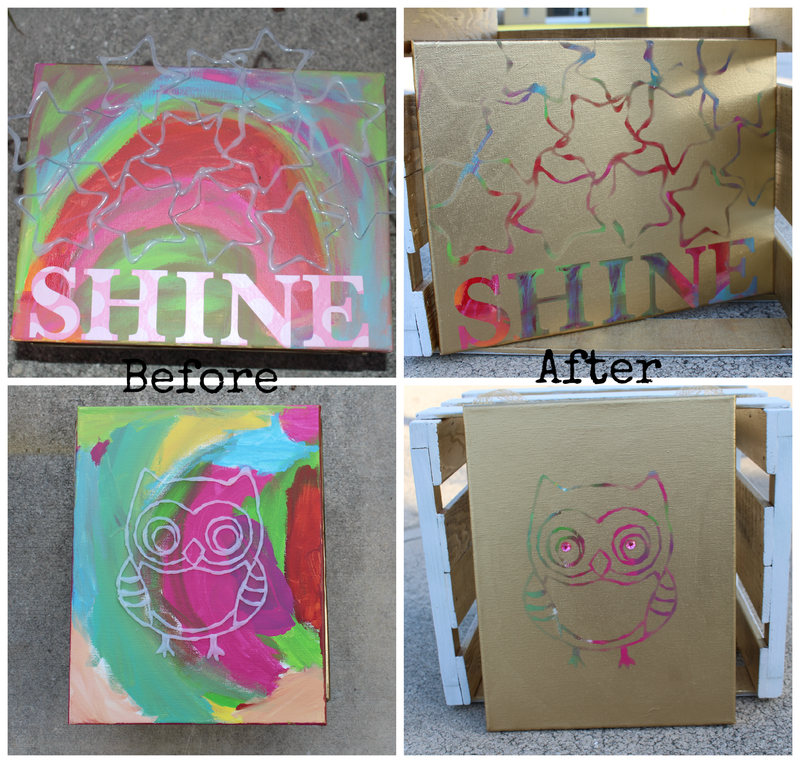 The results are amazing and it gave this kids art work a fresh look. This piece turned out great and I just loved how different it looks. 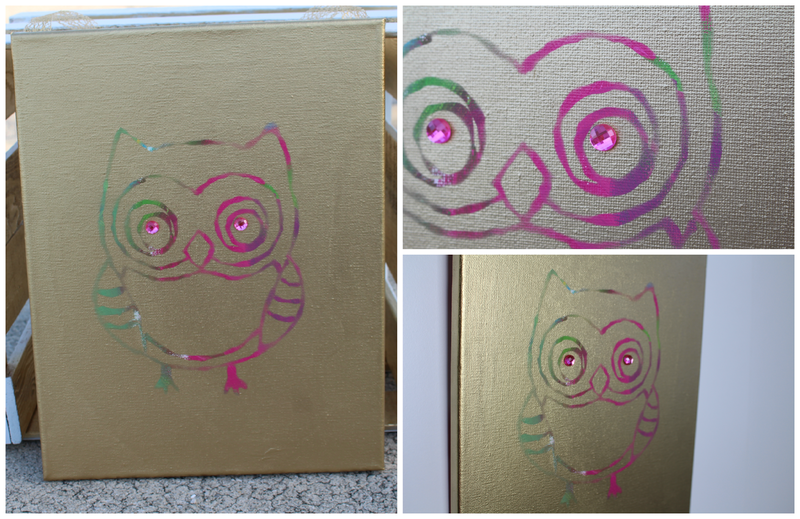 For this piece I created an owl stencil and I added bling to the eyes. Another fabulous piece. Here is the before and after. My daugther loves how it turned out and it will go perfect in her room. Room tour is coming soon. Make sure to come back. You are so creative, Vanessa! I love these. You could sell these for sure! Another Kim agrees, beautiful art work. Thanks for sharing! What a neat idea. I think they came out awesome. Love it! These are so beautiful! I have a thing for owls lately. So cute! Very clever idea. Those are beautiful. Very creative. I love how that owl turned out! These projects are just too cute. I love these, they turned out great! The colors look metallic! Wow, that looks so cool! I love how the colors look on the finished product! How creative! 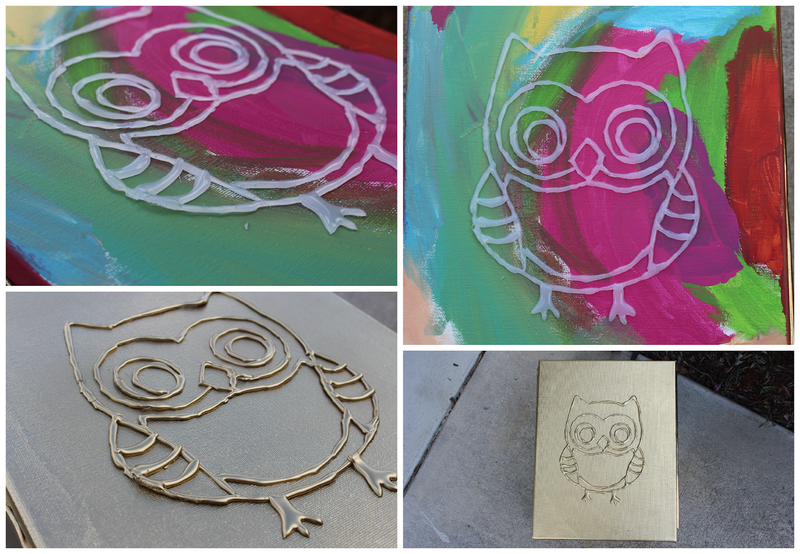 I would have never thought to use hot glue to make a stencil! How awesome are those!! You must be crazy creative because I would have never thought to go about that process. Just came across you via a post on Home & Garden Bloggers. That is so amazing! I want the owl one! Cute idea! Love how it turned out. I am a huge fan of hot glue... so great for so many projects. Your daughter is very lucky. My youngest LOVES owls. She would absolutely love this one! This is a cool idea. I love the artwork too. This is so neat. I want to try this for my kids. Me and the nine year old will do something like this for his spring break. Love them! I'm a big fan of owls!